About Skates U.S. – Skates U.S.
Skates U.S. specializes in the skates and accessories used by the majority of the current US National and World Champion Artistic Skaters and the World Quad Ball Roller Hockey Skaters. Skates U.S. is a Partner Sponsor of the USA Roller Sports Figure Skating National Championships. We also lead in supporting Roller Derby, Jam Skating, Quad Speed Skating, Recreational Skating, and also Ice Figure Skating. 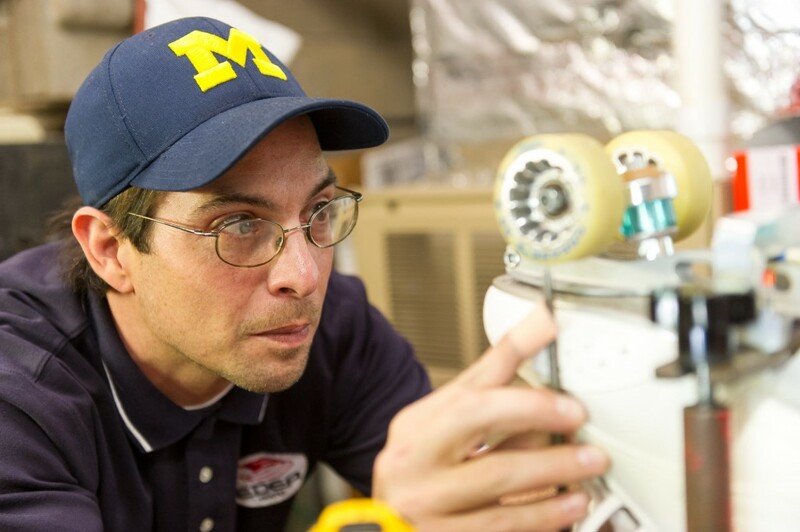 Our experience stems from our president, David Ripp’s vast experience in the skating business. 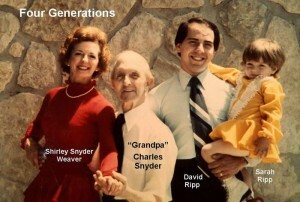 David’s mother was Shirley Snyder and grandfather was Charles Snyder of the famed Snyder Skate Company. David’s innovations with new products as Vice President of the Snyder Skate Company back in the 80’s as well as being a contributing innovator with our current lines, he has had the predominate influence as to where skates are today. Founded in 2004, we are the U.S. exclusive importers of ATLAS, EDEA Skates, and Roll-Line Skates and Wheels and accessories. These products represent the very best in new technology, comfort, ease of use, ultra light weight, precision, and especially design that we provide you, with the detailed customization of your complete skate outfits to give you the very best performance possible. You won’t believe us, until you put these on your feet and ROLL! David Ripp, President of Skates U.S., literally grew up at his grandfather’s (Charles Snyder) skate shop in Dayton, Ohio. “When grandpa’s skates became the rage after my mother (Shirley) did so well on them, he left his job as a tool maker at Frigidaire to make the skates full time”. Charles Snyder is the inventor and held the patents for the Double Action (a Cushion above and below the Truck, which is the Skate Design still most used in today’s Quad Skates) as well at the Toe Stop mount as a part of the Skate Plate. The Double Action Super Deluxe Model was made for Shirley. 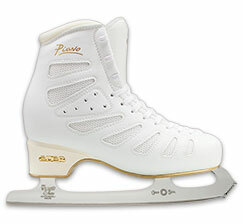 However, when David was a competitive skater, he was also skating ice shows, Tests and Competition and wanted a roller skate that responded as quickly as the ice blade. His Grandfather worked with him to develop the Imperial Model skate. David went on to win 13, first, second and third placements at the North American Championships. 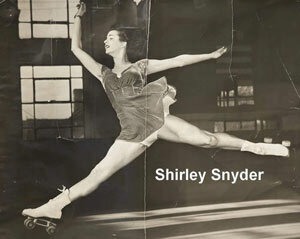 This brief documentary tells the story of the Skating of Shirley Snyder competing in the 1940’s and Charles Snyder, Lila Snyder, and Shirley Skating Tests and Shows and provides a synopsis of David Ripp’s Roller Skating from age 1 till 1970. Today, David still coaches when he can and definitely skates regular and dance sessions! Joyce is a valuable addition to the Skates U.S. team as the Personal Assistant to David Ripp, the President. 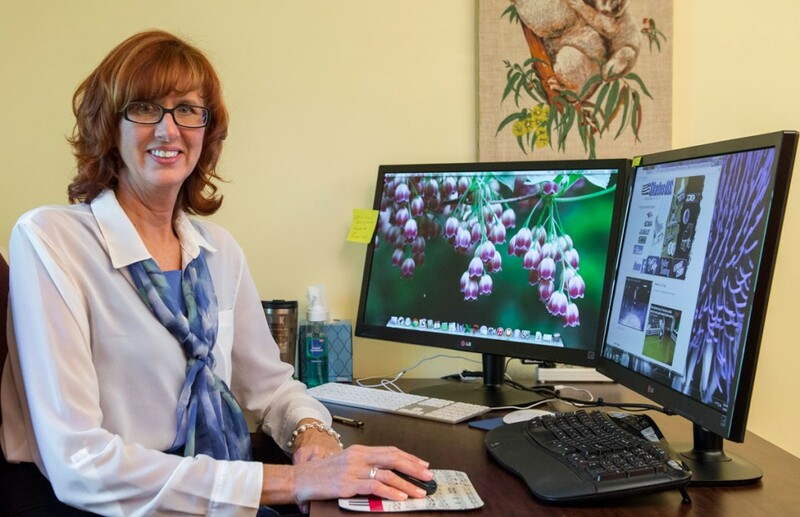 Joyce brings a varied set of skills to Skates U.S. and helps David and his wife, Carolyn, with event planning and a variety of Skates U.S. projects. She enjoys encouraging people and helping them with whatever may be necessary at the time. Joyce is a recreational Ice and Roller Skater who likes teaching athletic, musical, and artistic skills to her children and grandchildren. Her greatest passion is the culinary arts, and cooking for people is how Joyce met David and Carolyn many years ago. If she has the opportunity to cook for you, it will be a VERY great tasting and memorable dish or meal, that you will not soon forget. 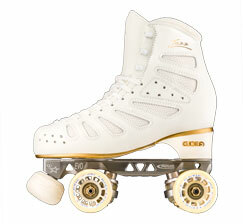 Joyce thrives on the excitement of being a part of the sports world of Recreational and Competitive Skating, International Athletics, and the importing of the EDEA Skates. She is even learning an Italian word or two! Joyce can be reached at Joyce@SkatesUS.com or (765) 935-7477 office or at (765) 994-7472 cell. Traveling often from his hometown in Toscana, Italia, Flavio works as a liaison between EDEA Skates in Italy and Skates U.S. in Richmond. Flavio’s passion is working with the skaters and capturing their love for the sport through the lens of a camera. Flavio spends much of his time photographing the skaters, skating events, and helping with sales and marketing efforts at events all over the world. Flavio is an absolutely incredible photographer for both ice and roller, including action shots, video, and more! As he has past experience as an ice coach in Italy, he knows and understands the sport completely in order to achieve the best vantage points! In addition to his photography expertise, Flavio also specializes in educating skaters and coaches in all features and benefits of EDEA, as he thoroughly knows the EDEA Skate product line inside and out! Josh has been with Skates US for quite a while now and has become one of the very best Skate Techs around. His mount jobs (for both ICE and Roller) are some of the very best and most accurate, possible. Josh’s knowledge of “Shaping” EDEA Skates to customize them to your feet and make them the most comfortable Skates ever, is beyond top notch. Josh spends most of his time in the shop at our facilities specializing on the Tech work for both Ice and Roller Skaters of all levels from beginner to National and World Champions and those that just enjoy Skating. Once in a while we let Josh out of the Shop where he provides his precision Tech work at both Ice and Roller events that Skates US displays at. Josh has become a wealth of knowledge on both Ice and Roller Skates. Josh can be reached at (765) 935-7477 or at tech@SkatesUS.com. Elizabeth has acquired 20 competitive years as an artistic roller competitor, and has taken numerous podium placements from both the Regional and National Championships. She has a passion for skating and knows the equipment first hand from personal experiences of using it to the MAX. 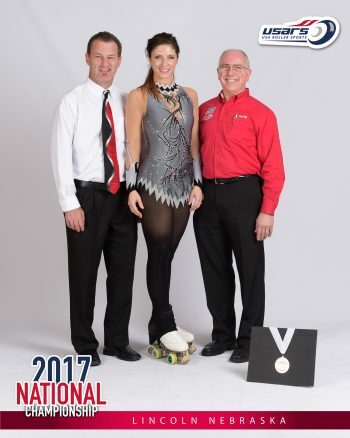 While her competitive expertise lies in artistic roller skating, both as a competitor and coach, she is also a great resource and tech for both ice and roller equipment. Elizabeth is the Wholesale Account Manager and Dealer Support at Skates U.S., and she oversees and coordinates our EDEA Dealer Training Seminars for newly established and existing accounts. Her primary function with Skates U.S. is to support and train our dealers across the nation, and equip them with the knowledge needed to assist the skater with confidence. Fully knowledgeable in the benefits and features of Edea Skates and Roll-Line, Elizabeth can be reached at Elizabeth@SkatesUS.com or by calling (765) 935-7477. 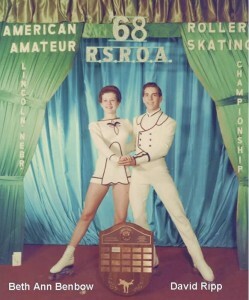 Elicia and Stephen Reynolds were introduced to ice skating in November 1997. She was 6 and he was 4. In 1998, Elicia was captivated as she watched 15 year old Tara Lipinski win the Olympic title at the Nagano games. That was it! She wanted to compete! In the fall of 1999, the Reynolds family relocated from the east coast of Florida to the west coast of Florida for higher level coaching. The following year Stephen was selected to play the role of the adolescent Scott Hamilton in Scott’s farewell performance with Stars on Ice for an audience of 7,000. 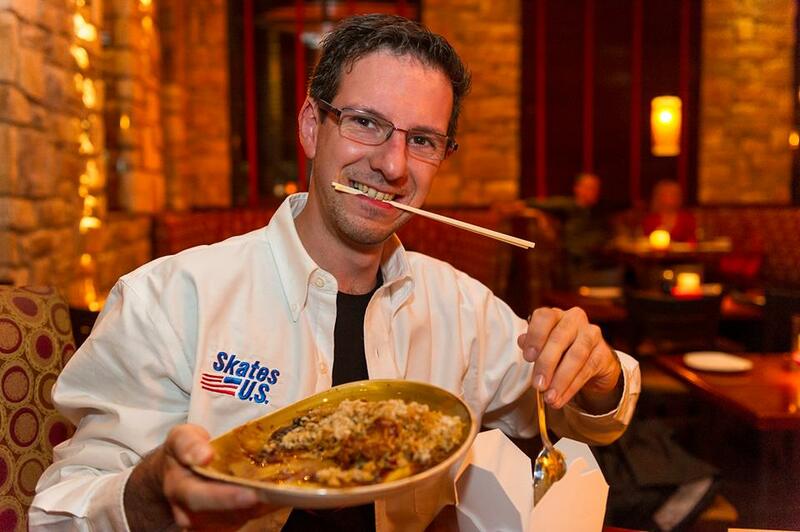 That experience ignited young Stephen’s desire to compete and perform on ice. They also met the 1992 Olympic silver medalists, brother and sister ice dance team, Paul and Isabelle Duschesnay. Isabelle insisted the young Reynolds had all the ingredients for a successful ice dance team. In October 2002, Elicia and Stephen would prove her right by capturing the gold at the 2003 South Atlantic Non-Qualifying Regional Championships in York, Pennsylvania. Their new found skating success was cut short due to a lack of financial resources. For the next three years they were unable to skate. 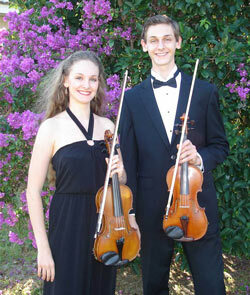 During that time off ice, Stephen and Elicia placed their focus on their academic studies and continued developing their music ability (they both had been studying the violin for six years). Earning a position with the Venice Symphony in Venice, Florida, marked the start of their professional music careers, all the while keeping the dream of returning to the ice alive. Joyfully, their dream became a reality. In 2005 they returned to the ice. After a year of intense training they earned silver at the 2007 Junior U.S. Championships. Over the next few years, the pair struggled to find new means of income to support their skating lessons. They took themselves through the necessary testing from Intermediate level through Junior level in just six months. They choreographed their own short dance and free dance to prepare for the 2011-12 season. The Reynolds then continued their resolve and passed the last eight tests required to qualify to compete at the senior level for 2012-13 season, all completed without a single skating lesson. With only a few months before the 2013 Eastern Sectional Championships, the Reynolds were once again unable to afford a choreographer; thus, they choreographed their first senior short dance and free dance and taught themselves the Yankee Polka. A month before Sectionals, Uschi Keszler and Yovanny Durango assisted in polishing the Reynolds’ performances. Elicia and Stephen Reynolds are an amazing pair, brother and sister and a very strong Ice Dance Team. They competed at the 2014 U.S. Championships placing 14th in their first year in the Championship Dance event. Their 2014 U.S. Championship performance video links are available on this site. 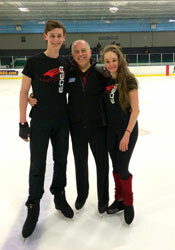 Elicia and Stephen both help Skates U.S. at many major Ice Competitions. 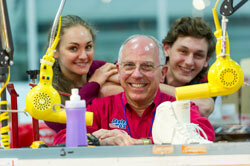 They are both EXCELLENT with the knowledge of the EDEA Skates, Blades, and both are very good Skate Technicians. They thoroughly understand what Skaters need and want from their equipment, as they both use EDEA Skates on a daily basis.